The court has the ability to ensure that parents provide adequate financial support for their children by ordering child support payments. Child support is an established payment system mandated by the court that requires a parent to make payments in regular specified amounts to ensure the provision of financial means for the proper care of a child. In some cases, both parents may be required to make child support payments, but in most cases, the non-custodial parent (parent who does not live with the child) will be ordered to pay child support to the custodial parent. This does not relieve the custodial parent from his or her financial duty to provide for the child, but the court takes into consideration the fact that a custodial parent is typically responsible for daily living expenses. When there are doubts about what's fair in terms of child support payments, parents may benefit from seeking advice from a child support lawyer in Bellevue. The state of Washington bases child support payment amounts on the combined income of both parents, the number of children in the family, and the age of the child(ren). By using a child support schedule, a minimum amount of child support is established. This amount can be increased if desired by the parents but cannot be decreased without a full review of the case. Additional financial concerns such as childcare costs, medical bills, prescriptions, and health or dental insurance will be reviewed by the court and may be considered separately from the minimum child support payments set forth by the schedule. 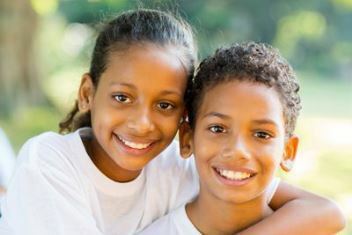 The first figure needed to use the Washington child support schedule to determine minimum child support payments is the parents’ combined income. Combined income is calculated by adding each parent’s net income. Net income is the figure left after state and federal income taxes, Social Security taxes, other court-ordered payments and some eligible business expenses, health insurance costs or retirement contributions are subtracted from the gross income of each parent. While the final child support payment amount will be set by the court, parents who are curious to see what they may receive or have to pay prior to a child support hearing can visit the state’s website to use the Washington Child Support Schedule. The schedule uses a mathematical formula that involves taking the parents’ individual and combined net income and dividing it proportionately according to the percentage each parent contributes to the total combined income. The schedule determines the total amount of financial support for the child’s needs and then assigns a percentage of the total combined income to each parent. Work with your child support lawyer in Bellevue to figure out how this affects your situation. For example, if the father contributes 75 percent of the total combined income, his expected financial contribution to the child’s welfare would be 75 percent. Or in other words, if the schedule determines that a total of $1,000 per month should be spent on the child’s needs, the father would be expected to pay $750 of that amount each month on the child and the mother would be responsible for the remaining $250, or 25 percent. Child support payments generally may not exceed 45 percent of a parent’s net income. In some cases, a change in circumstances may warrant a review of the child support order – if you wish to modify the order, make sure you receive help from a Bellevue child support lawyer. While it is allowable to request periodic reviews of your case, if your order was established within the previous year, a substantial life change must have occurred for the court to reconsider your child support amount. Loss of a job or a change in the custody arrangement might be reasons why a child support case would be reopened. Our law office helps parents in Bellevue, Seattle and throughout Washington with child support cases, and we are available to answer your questions about a pending hearing, modification request, or other concerns. Simply call us at 425-460-0550 to schedule a confidential consultation.